Ah, the open road! Your favourite track on the radio, the horizon in your sights, just you and the wheel rumblin' to anywhere. Is there anything better than the freedom of driving? Don't let awkward breaks or bad design hold you back from your dreams. Hit the road this summer with peace of mind. 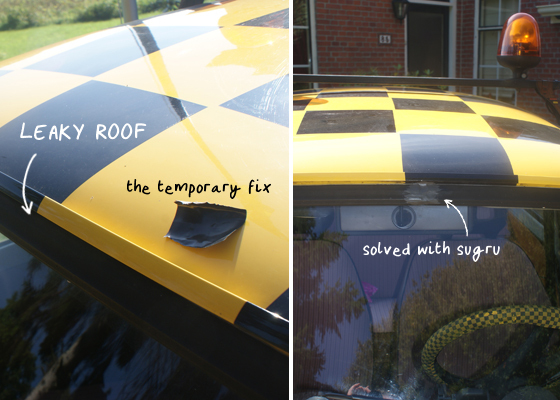 Here are 16 ways to fix and adapt your car with Sugru. Wing mirrors are vulnerable, sticking out either side of our cars into the big wide world. And there's nothing worse than an awkward crack - with the only fix seemingly being a complete replacement part. 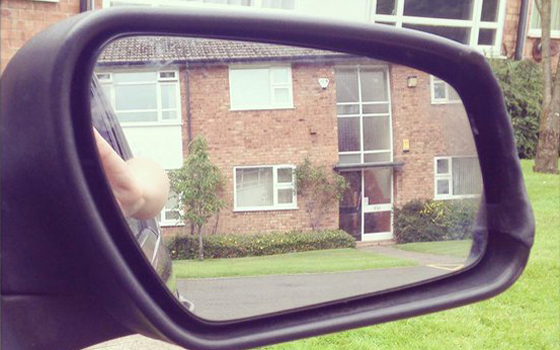 Save money on replacing your wing mirror all together, and fix it with Sugru! Sugru is ideal for this fix because it is strong, durable and waterproof. Check out this how-to guide for more info, or have a look at Gemma's great fix below. Bumps and bangs are inevitable, especially if you run a busy ship! 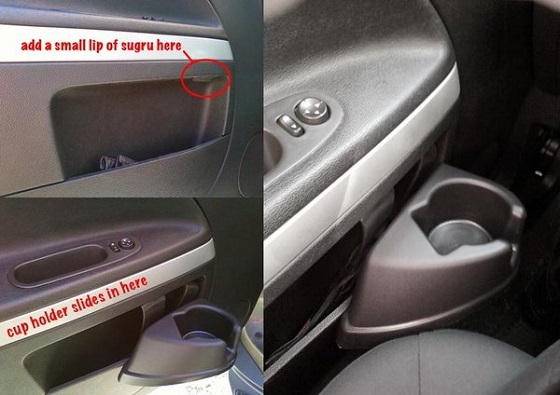 Whether it's the inside door or your dashboard, bring your car back up to scratch with Sugru. Sugru is ideal for this project because it is strong, durable, and you can colour match. 3. Keep rain where it belongs - outside the car! A piece of tape was my very temporary fix. I had to bring my car to a garage to replace the window rubber for a new one. An expensive project, and risky for the safety of the window, so I hesitated. After discovering Sugru, I got an idea... 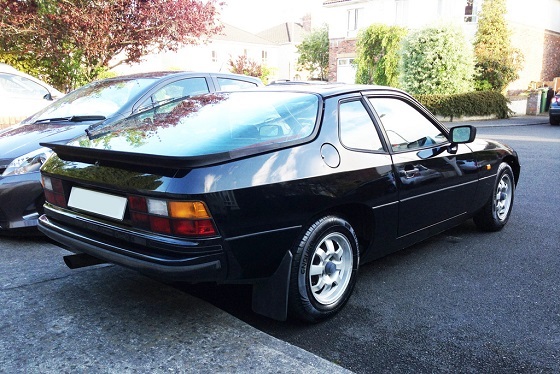 I removed the tape, applied sugru on the gap, and now I drive DRY for ever more!!" And how cool is her car?! 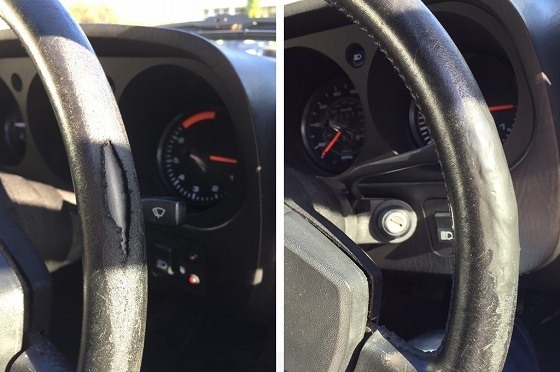 Conor discovered that his steering wheel was wearing away from excessive friction, so he restored it with Sugru! "Just one of several sugru fixes keeping my baby in great shape", he says. Yep, we know what you're thinking. That's a Fiat 124 Spider America! 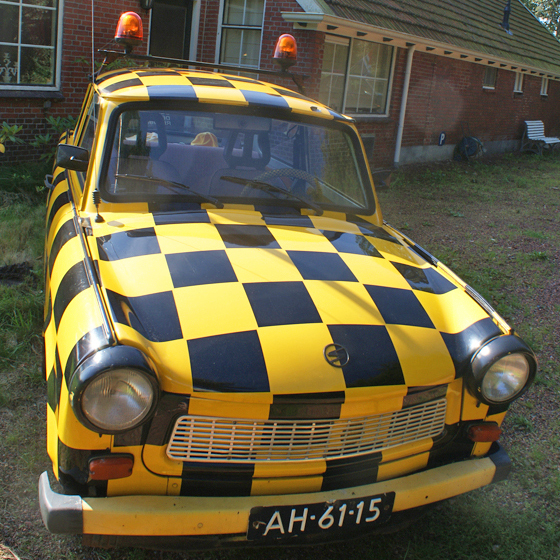 Stefano just loves these cars, and he found one near Stuttgart in Germany. "We re-painted it, repaired a lot of parts, but the sun visor ("aletta parasole", in Italian) on the left-hand side kept ripping. It seemed impossible to stick the two parts of the plastic cover together, but with Sugru I could create a bond between the two ends... and now it is really repaired." 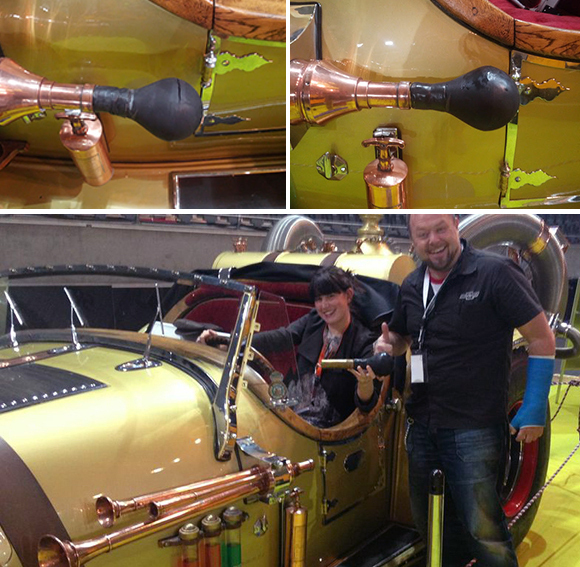 This is the magnificent Il Tempo Gigante — the most famous car in Norway. A couple of years ago, Jane was in Oslo for an event to help introduce Sugru to all the Jernia staff from across Scandinavia. Then she spotted the most amazing car ever, and it turned out to be Il Tempo Gigante from the cult Flåklypa Grand Prix! On closer inspection she noticed the horn had split. It emerged that people had been looking for a replacement for years - even searching around Europe - but no-one makes horns like this any more. So... we introduced the guys to Sugru, and we got fixing! Wouldn't it be great if all modern cars still had horns as cool as this? Whether you're fixing the rubber seal on your horn, or patching up a leaky door seal, Sugru is great for repairing tears in rubber. It's one of life's great mysteries. Why do broken key fobs always cost so much to replace? When you've got an awkward break, follow Marvin and Phil's lead: save money and fix it with Sugru! Every car has them - those little pieces that do such an important job, and we don't realise how important they are until they've gone! And how on earth do you replace them?! When Sally lost the little hook that held her parcel shelf in place, (that's the "rear deck" if you're American), she replaced it with Sugru. As good as new! The best fixes have personality! Jakub took advice from a special mechanic - (his 5-year-old daughter!) - and repaired the shattered VW emblem on his car with Sugru. Sugru loves the outdoors. It's strong, durable and waterproof, ideal for braving the elements! This is becoming a bit of a trend! 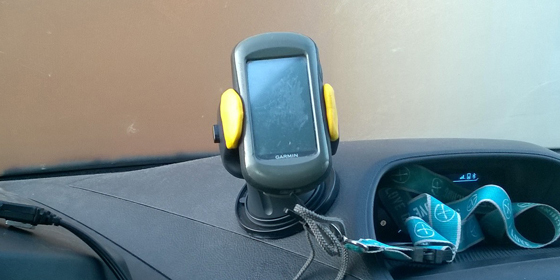 Whether you're adapting a dashboard holder for a handheld GPS or ensuring a better grip for your phone, Sugru's grippy, mouldable properties make it the ideal solution! Or why not try Hannah's idea, and use LEGO for a "snap-on, snap-off" holder? 11. No space? No problem! 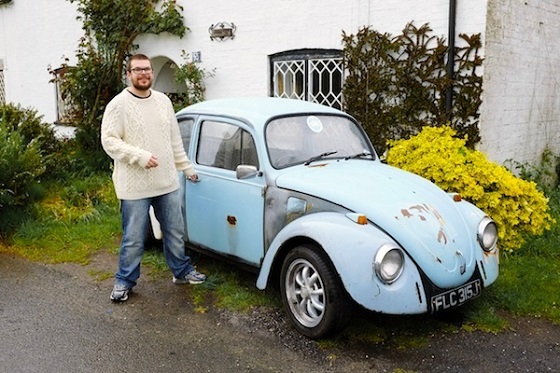 This is Ed's pride and joy, a vintage Volkswagen Beetle that he is refurbishing. 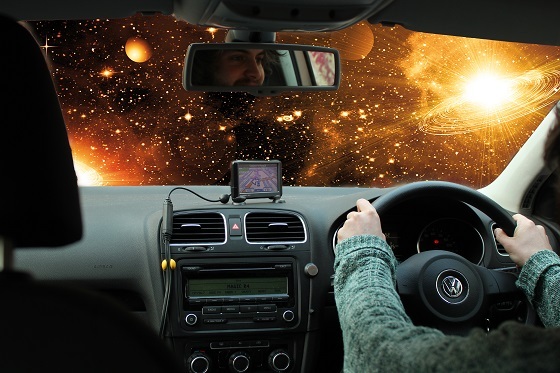 The last thing you need when you're driving is awkward wires getting in the way. With Sugru, you can mould custom hooks and grips to keep those pesky cables under control. Just like Lee, who can keep his GPS widget anywhere on the dashboard without it getting in the way. Why settle for small, when you can go BIG! 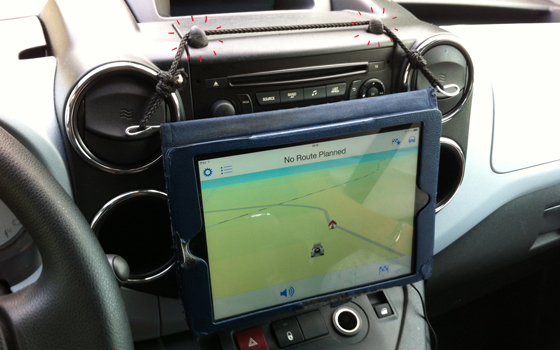 Two Sugru hooks, some cord and a piece of an old wire clothes hanger... and you've got your very own support for a dashboard iPad. Looking for a quirky solution to a weird problem? 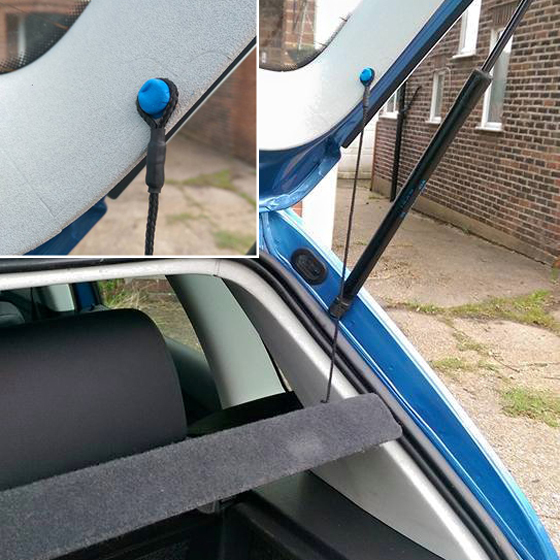 Arménio moulded a custom bluetooth speaker holder onto his dashboard with Sugru. Now he can listen to the music on his phone while he drives! ...and with a little Sugru modification, it slipped right in! Now he has his affordable, removable cup holder right where he needs it! Find the buttons on your steering wheel or dashboard difficult to distinguish or press? Thanks to Sugru's grippy and colourful properties, you can solve this problem easily! Like Peter, who customised the buttons on his steering wheel. 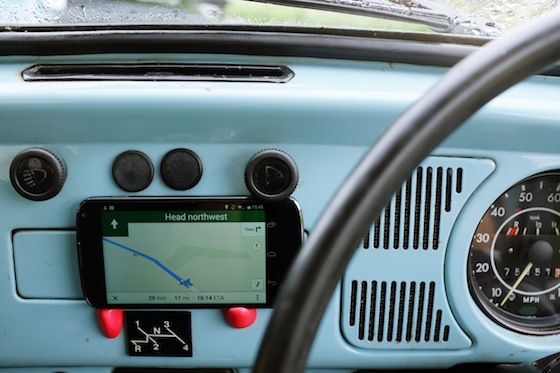 "Sugru lets me keep my eyes on the road with these tactile buttons," he says. Nice work, Peter! Whether you're on two wheels or four, (or three! ), Sugru is ideal for keeping you on the road. 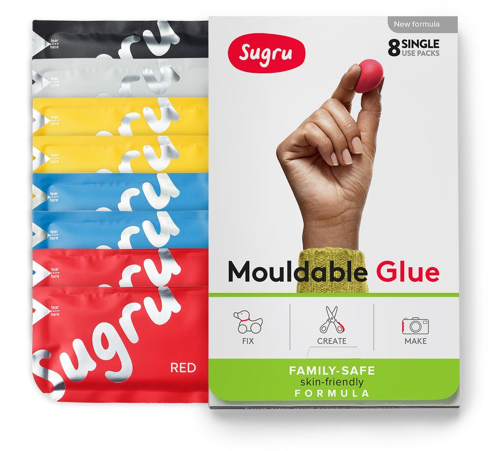 Head over here for loads more ways Sugru can help fix and adapt your ride.